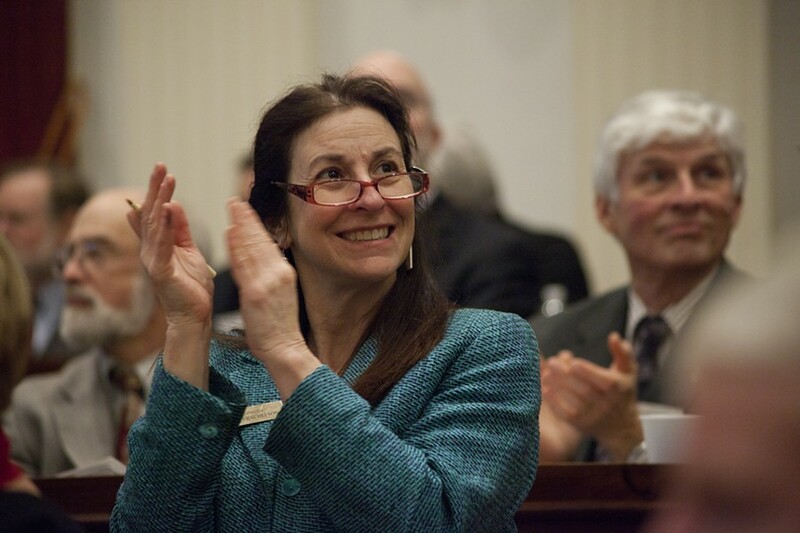 Rep. Barbara Rachelson (D-Burlington) was hoping to boost the number of Vermonters who are registered to donate their organs when they die. As Rachelson approached fellow legislators about signing on to a bill, some proudly told her that they were registered as donors, only to pull out their driver’s licenses to discover it wasn’t true. That shows how people often intend to sign up, but put it off, Rachelson said. So Rachelson and 10 cosponsors authored a bill that would presume all Vermont adults consent to being organ donors unless they specifically opt out. That's the practice in some countries, including Spain and Austria, but apparently in no U.S. states. Rachelson said she and other sponsors have heard that criticism since the bill was introduced January 23, and were surprised. In retrospect, she said, she might have found another way to word the bill. A recent change in license renewals has led to more potential donors. Since 2013, Vermonters have been asked whether they want to register as an organ donor when they apply for a driver’s license. In 2014, nearly half registered as donors, according to DMV statistics. The license application asks: “Do you wish to be or continue to be registered as an organ & tissue donor?” Those who check yes end up with a small red heart on the bottom right corner of the driver’s license and are added to an online registry. Before 2013, drivers could sign the back of their license to show consent to donation, but the information was not linked to a registry and was often unavailable at the crucial moment. Vermonters can also register as organ donors through Donate Life Vermont. The state has a 90 percent rate of organ donations when the opportunity arises, said Bob Opel, clinical donation specialist in organ recovery at the University of Vermont Medical Center. Those instances are not common. “You have to come to the end of life in very particular circumstances,” he said. Most donors are on a ventilator and are brain dead, he said. In 2014, 10 dying people met the criteria for organ donation and nine consented, either by having registered as organ donors themselves or through family members, Opel said. Opel said that when a qualifying patient comes in, typically in an emergency situation, he first checks the organ registry, and then approaches family members. It helps, Opel said, for family members to know what the person would want, and it is often a relief for family members to learn that the patient had declared his or her wishes by registering as an organ donor. “At a very bad moment for the family, it’s ... affirming that the loved one had a wonderful heart ... it gives them comfort to honor that wish,” Opel said. If state law were to presume that all adults have consented to be donors unless they’ve opted out, Opel said, that would change the discussion with family. “I don’t know how it would work,” he said.